Arrival in Irkutsk. Transfer to Olkhon Island. 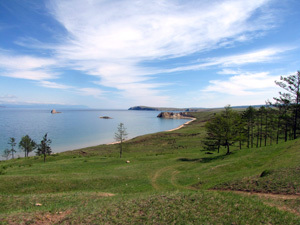 After you get to Maloe More - the bay near the Olkhon Island (it takes about 3-4 hours), you will take a ferryboat to get to the Olkhon Island. On the opposite shore there will be Russian military 4X4 vehicles, which will take you to the mini-hotel in Khuzhir (it will take about 1 hour). Khuzhir is the main village of the Island with the population of 1500 people. You can fill in your free time in the evening with a 2-hour boat trip at the sunset that can be booked on spot. 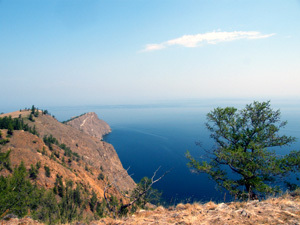 A day long private trip to the northern part of the Island by car. 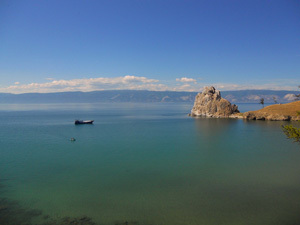 Visit to the highlights of the island, such as the Peschanaya Bay, Sagaan Khushun cape and the mysterious Khoboi cape. You'll be taken to the best view points of Olkhon Island where the guide will introduce you to all mysterious legends that this place holds. Enjoy lunch cooked on a camp fire for you. Return to the village. Transfer to Irkutsk in the morning. Check-in to the Angara hotel in the late afternoon. Enjoy a 2-hour walking city tour in the evening. It starts at the historic part of the city: Epiphany Cathedral, the oldest stone-structure Church of our Saviour and the only Catholic Cathedral in Irkutsk, Polish Roman Catholic Church. The tour leads you through the Kirov Square and circus, taking you to the main street of Irkutsk, the Karl Marks Street. You'll walk along the street to get to the Angara river embankment. Right there, where the monument to Alexander III is, all young people gather, so you'll have a chance to see "the youth culture" of Irkutsk. 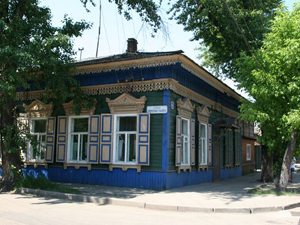 Complete the tour with the visit to the district of historic wooden buildings.